5 Wedding Photography Tips for Camera Shy Brides & Grooms! Sounds like you? Well, if you are getting hitched, you will have to be in a lot of photographs, whether you like it or not! And wouldn’t you want to preserve those memories from your special day? Well, we have just the perfect tips for you to help you feel at ease in front of the camera! After all, even the camera shy folks should have a memorable wedding album! After you decide on a photographer, it’s essential that you break the ice with him / her prior to the photo shoot. For great photographs, you must be comfortable with your photographer. Meeting the team a couple of times may help you get comfortable which will result in great photographs! After all, it IS your wedding photo shoot and when you have fun, it is reflected in the photographs. Whether it’s being goofy, using props or just sharing inside jokes with your partner, having fun is an absolute must when it comes to your photo shoot. Choose a place that makes you feel at ease and not anxious! If you are scared of heights, steer clear of skyscrapers or hill tops, no matter how romantic they may be! Your environment is one of the first things that will help feel comfortable and you must get it just right! Focusing on your partner and the other people that may be present, will put your mind at ease and you will be visibly more comfortable. 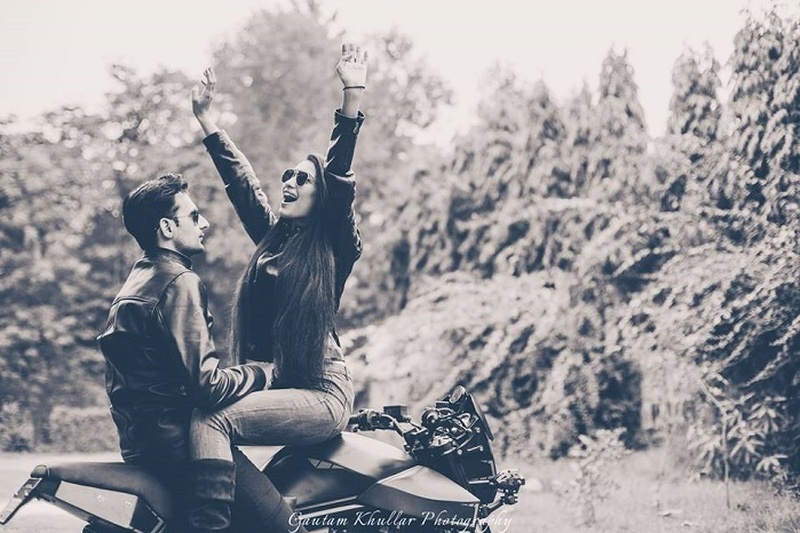 Forget that the photographer is there and he / she will be able to capture all those gorgeous candid moments! We understand you are skeptical about photographs but when it comes to your wedding or pre-wedding shoot, you have to trust your photographer. And when you trust your photographer, you go with the flow, which results in great photographs!